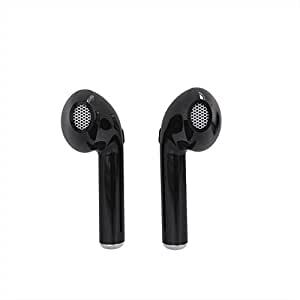 High quality CSR chips, these earbuds deliver Hi-fi stereo crystal clear sound, great noise canceling effect, let you focus on your favorite music anywhere at anytime. Description: Set of 2 earbuds. Excellent PAIR of earbuds with deep bass and HD sound. Connect one or sync both earbuds to your phone.